In February this year I once again was in Kenya. 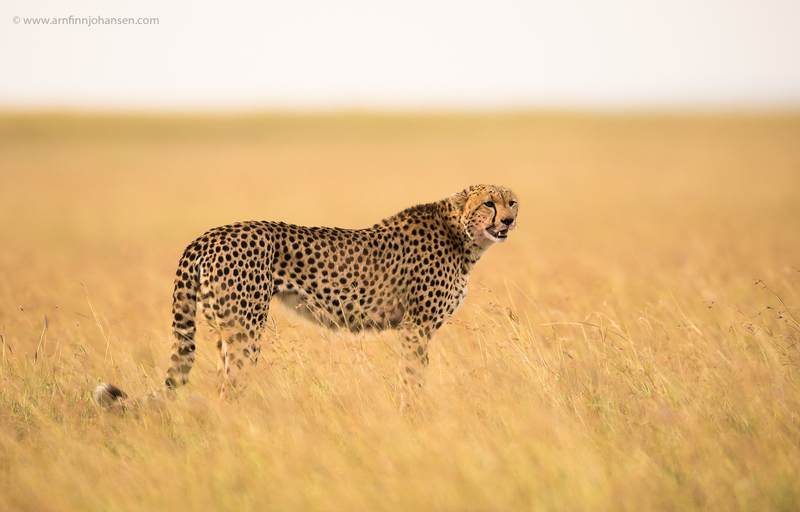 This was my 12th trip over the years to different countries in Africa, and this time the main goal was Maasai Mara and the Cheetah. And we were lucky to follow the cats during both stalking and hunts, giving us great possibilities for having nice shots. Thanks a lot to my photo companion and youngest daughter Marte (14) for yet another great trip, and to my good friend and guide, Big John. Below you will find a selection of edited images. A few more can be seen in Gallery/New Images. Please click on the images below to enlarge and see them in 1400px quality. If you like please also leave your comments below. 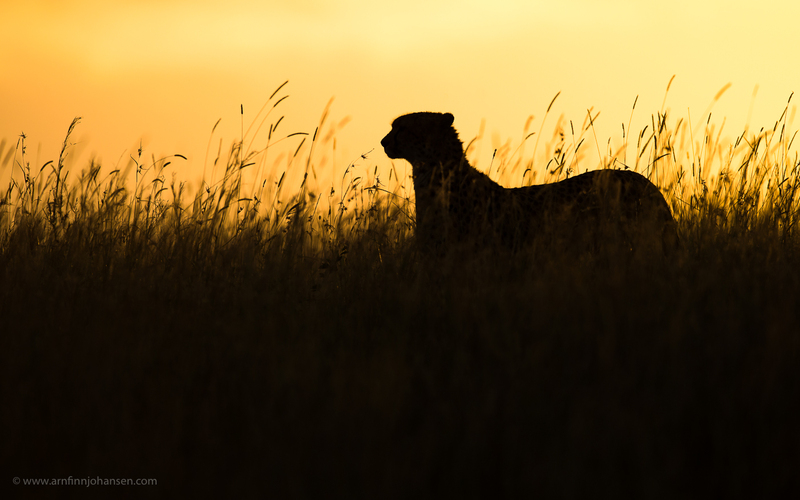 #1 Sunset Cheetah. Maasai Mara, Kenya. Nikon D4, Nikkor 600/4 VR, 1/1250 sec at f/5.6. -1.3 EV, ISO 140. #2 Are you eatable? 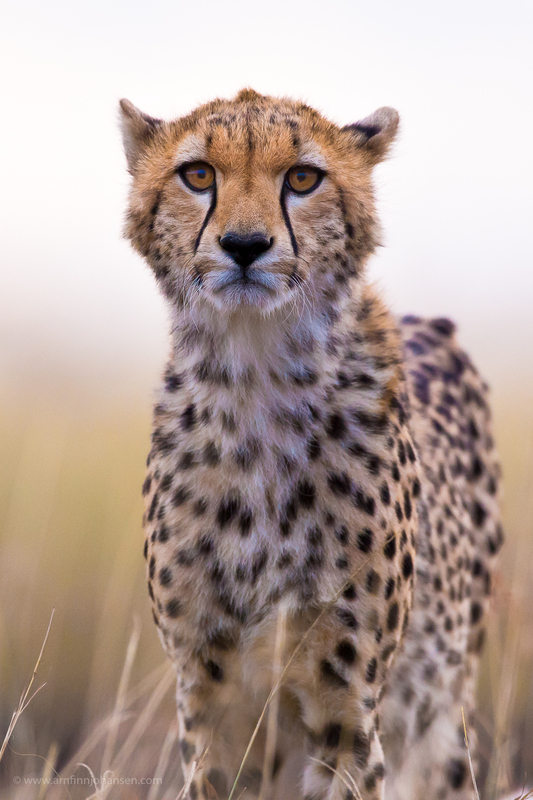 Close encounter on the ground with Cheetah. Maasai Mara, Kenya. Nikon D4, Nikkor 600/4 VR, 1/500 sec at f/5.6. +2/3 EV, ISO 6400. #3 Successful mother with her young ones soon to be feasting on a full grown Impala gazelle. Maasai Mara, Kenya. Nikon D4, Nikkor 600/4 VR, 1/800 sec at f/9. +1/3 EV, ISO 1600. 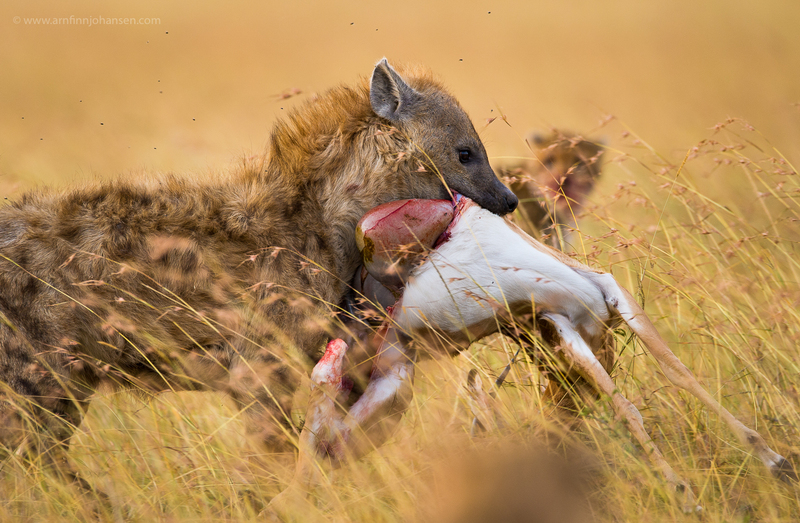 #4 Hyena stealing the Cheetahs’ kill. Maasai Mara, Kenya. Nikon D4, Nikkor 600/4 VR, 1/640 sec at f/5.6. +2/3 EV, ISO 800. 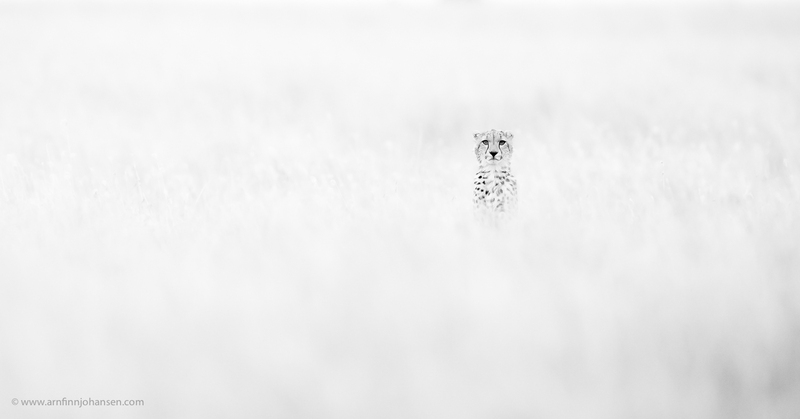 #5 Cheetah. Maasai Mara, Kenya. Nikon D4, Nikkor 600/4 VR, 1/1600 sec at f/5.6. +2/3 EV, ISO 1800. 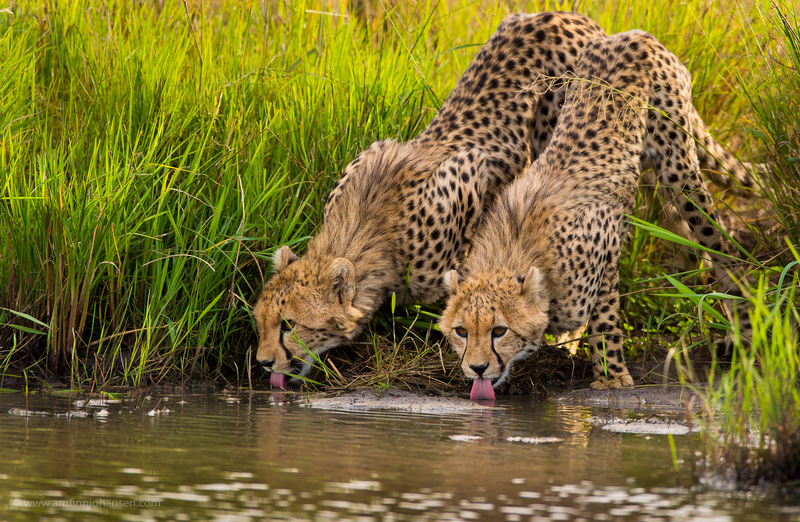 #6 Drinking Cheetahs. Maasai Mara, Kenya. Nikon D4, Nikkor 600/4 VR, 1/640 sec at f/5.6. +1/3 EV, ISO 1000. 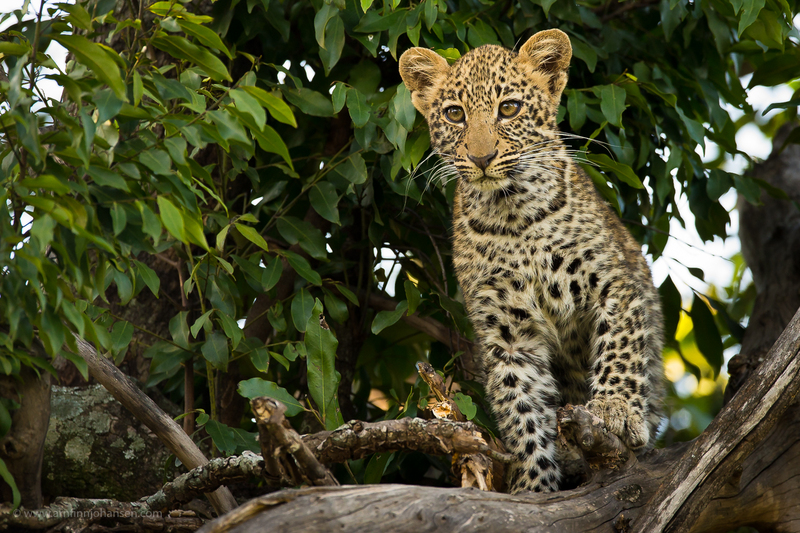 #7 Leopard cub. Maasai Mara, Kenya. Nikon D4, Nikkor 600/4 VR, 1/640 sec at f/5.6. -2/3 EV, ISO 2500. 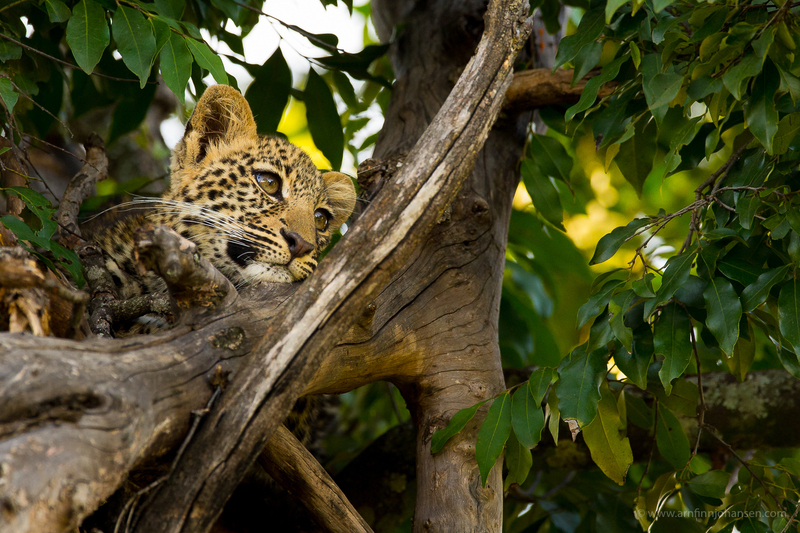 #8 Leopard cub. Maasai Mara, Kenya. Nikon D4, Nikkor 600/4 VR, 1/400 sec at f/5.6. -1/3 EV, ISO 1800. 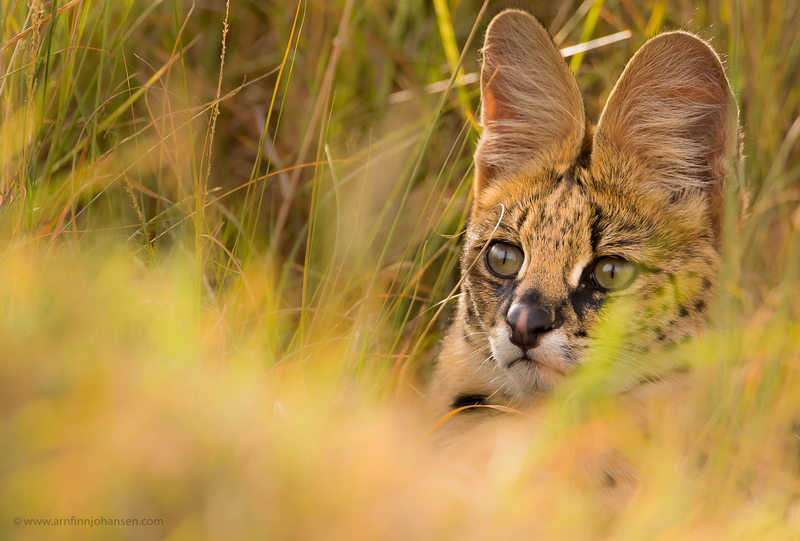 #9 Serval cat. Maasai Mara, Kenya. Nikon D4, Nikkor 600/4 VR, 1/640 sec at f/5.6. +1/3 EV, ISO 1400. 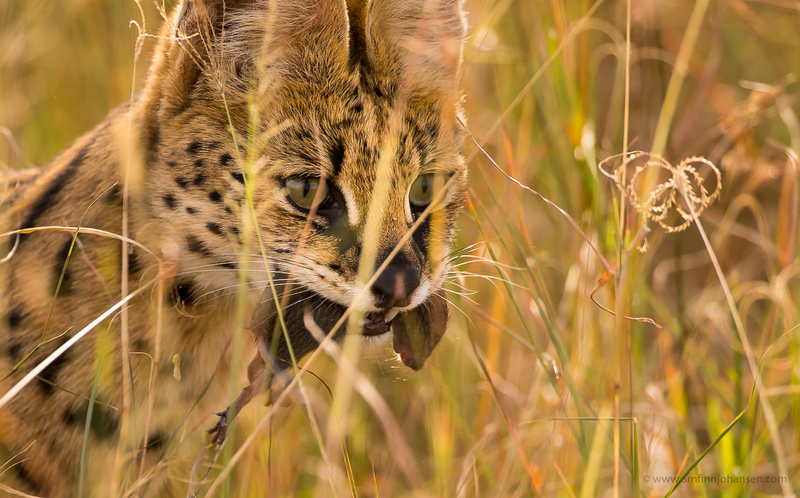 #10 Serval cat with kill. Maasai Mara, Kenya. Nikon D4, Nikkor 600/4 VR, 1/800 sec at f/5.6. +1/3 EV, ISO 1600. 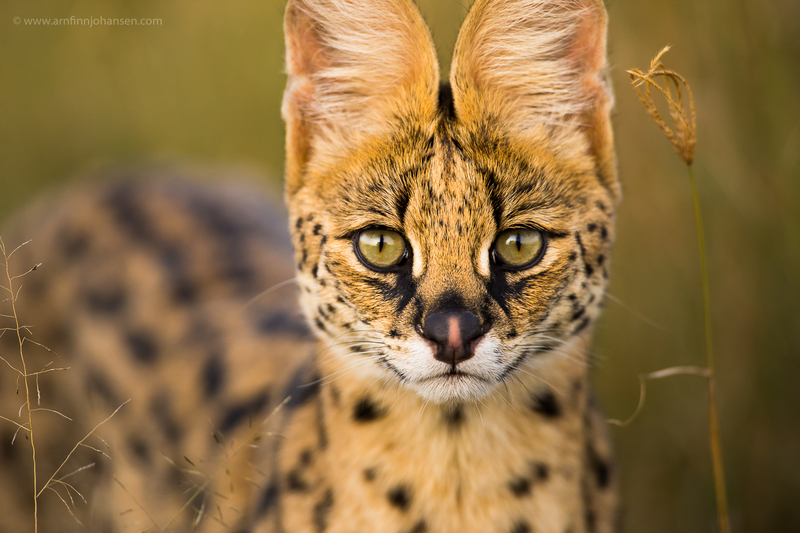 #11 Serval cat portrait. Maasai Mara, Kenya. Nikon D4, Nikkor 600/4 VR, 1/1600 sec at f/5. +2/3 EV, ISO 2500. 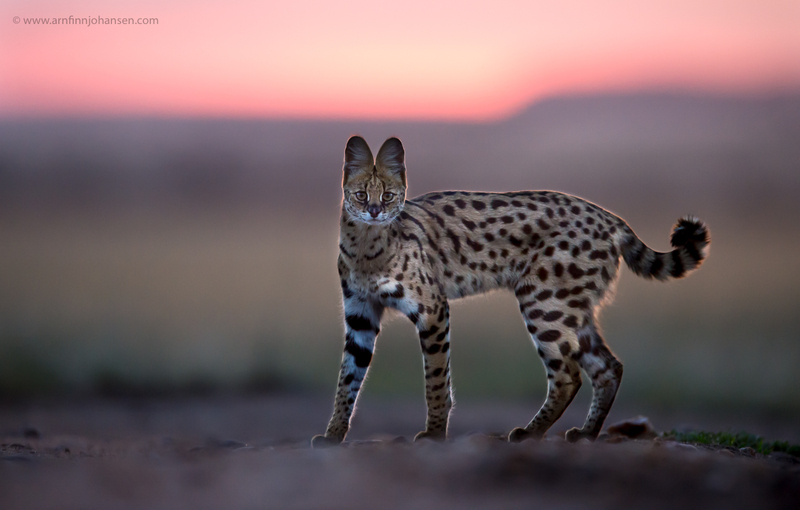 #12 Serval cat after sunset. Maasai Mara, Kenya. Nikon D4, Nikkor 600/4 VR, 1/500 sec at f/5. -1.3 EV, ISO 5000. 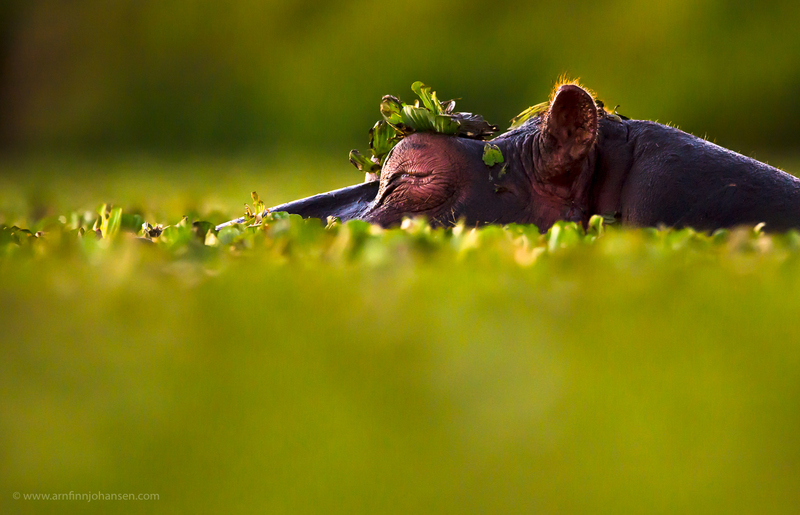 #13 A fullgrown hippo having his morning nap in the pool and not to be disturbed… Maasai Mara, Kenya. Nikon D4, Nikkor 600/4 VR, 1/320 sec at f/5.6. ISO 3200. #14 Sunset Rhino. Maasai Mara, Kenya. Nikon D4, Nikkor 600/4 VR, 1/1600 sec at f/5.6. ISO 1250. 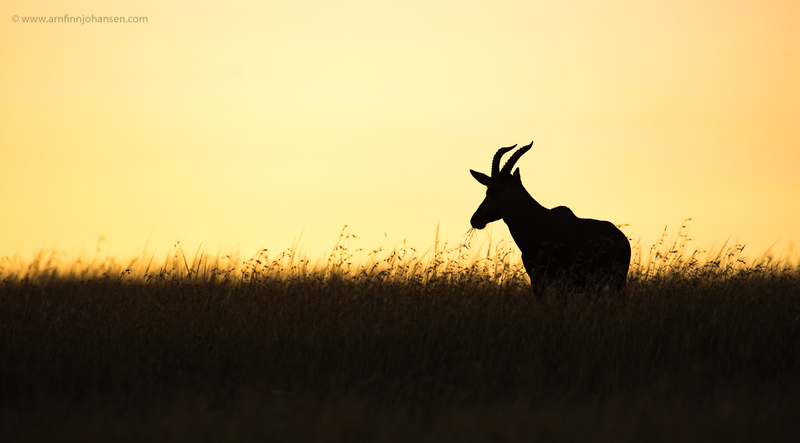 #15 Topi gazelle at sunrise. Maasai Mara, Kenya. Nikon D4, Nikkor 600/4 VR, 1/500 sec at f/5.6. ISO 220. #16 A very focused Cheetah. Maasai Mara, Kenya. Nikon D4, Nikkor 600/4 VR, 1/500 sec at f/5.6. +1.7 EV, ISO 6400. 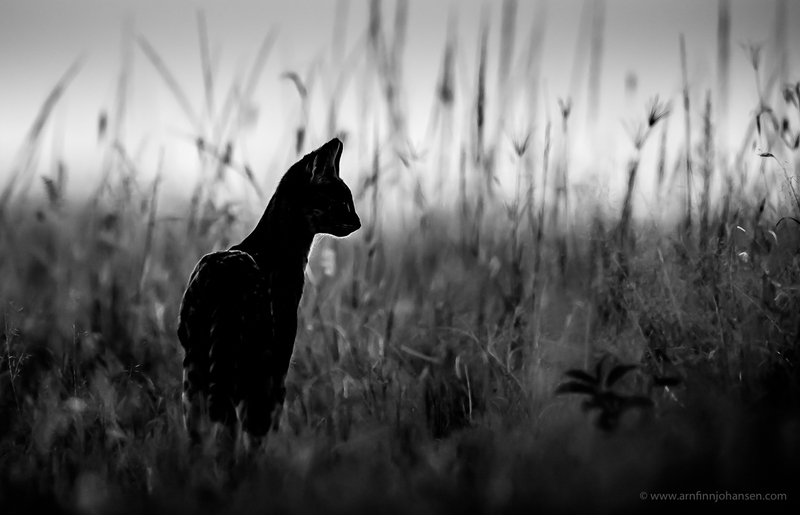 #17 Hunting Serval cat in the evening. Maasai Mara, Kenya. Nikon D4, Nikkor 600/4 VR, 1/1000 sec at f/5.6. -2/3 EV, ISO 3200. 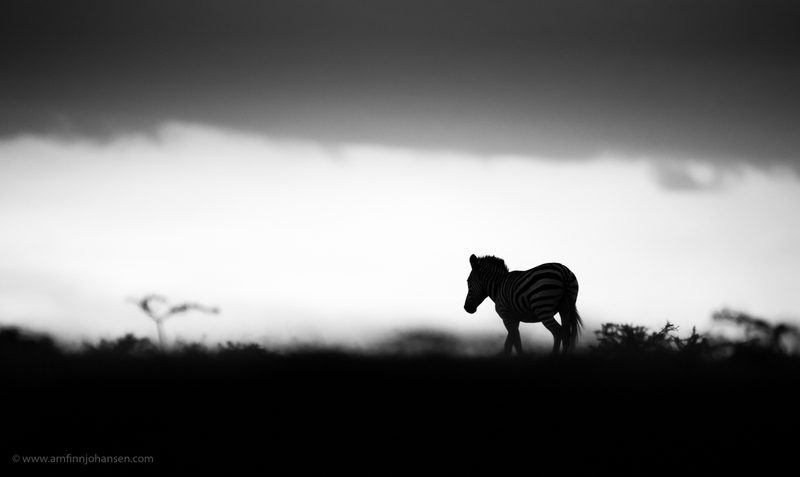 #18 Zebra. Maasai Mara, Kenya. Nikon D4, Nikkor 600/4 VR, 1/250 sec at f/4. -1/3 EV, ISO 2200. This is the first time I’ve ever seen your photographs, and I actually was directed here because I have the CCF (Cheetah Conservation Fund) page liked on facebook, and they posted something about a photography exhibition in London. I saw your photo of the mother cheetah and her cub, titled “A Mother’s Love.” I absolutely love it. 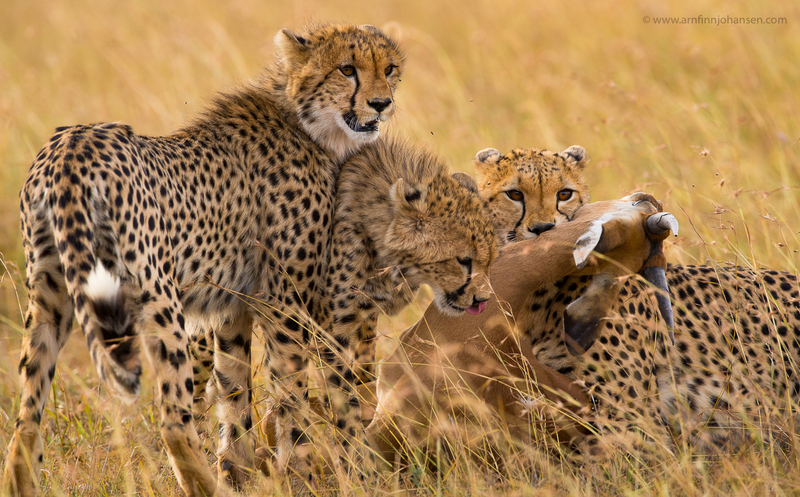 Cheetahs are my favorite animals, and my dream is to work with the CCF one day… These photographs are stunning as well. I’m amazed… There are no words to describe how beautiful your gallery is. Fantastisk flott levert. Servalen topper det hele ! always enjoy and admire your work. 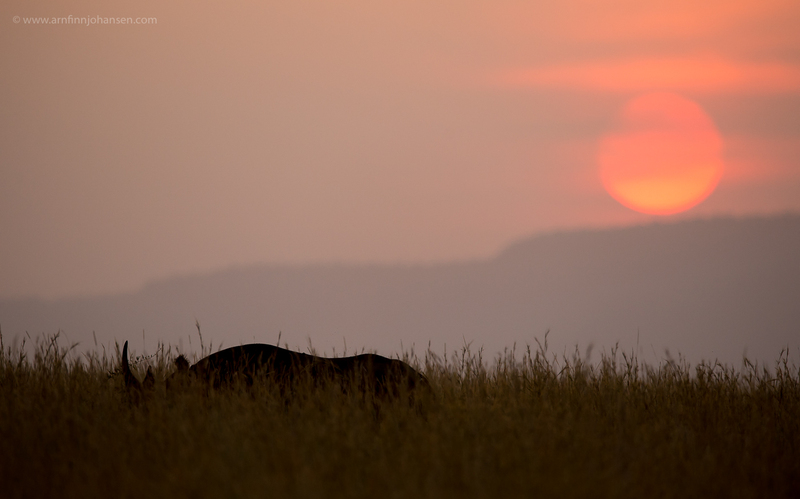 love the image of cheetah in sunset. all the best Arnfin..
hei Arnfinn! Strålende bilder som vanlig- jeg har samtidig fått med meg et nytt dyr jeg ikke kjente til – Servalen- kul type på råbra bilder! Superbra bilder fra en av verdens beste nasjonalparker! Jeg likte særlig god bildene av servalen. Jeg har vært btre ganger i Serengeti/Mara og i Samburtu, men aldri sett servalkatten. Nå håper jeg på bedre lykke i år 🙂 Prøv Mara Bush Camp neste gang du er i Mara…. Imponerende og dyktig innsats! Kan ikke skjønne annet enn at noen risikoelementer utenfor Landroveren er med. Veldig moro å se og jammen pirrer de ikke reiselysten til Kenya! Great pictures Arnfinn, as usual. I particularly love the Serval and the Zebra on the last one, beautiful sky and light.